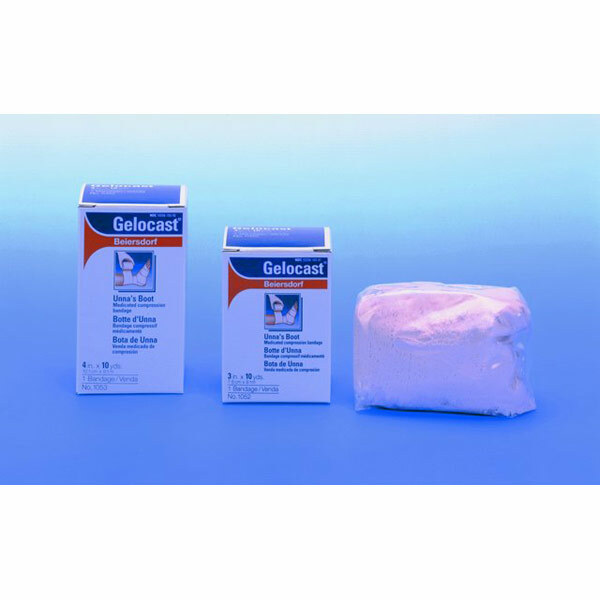 Gelocast Unna's Boot Dressing Bandage with soothing zinc oxide/calamine formulation provides firm compression therapy. Promotes healing of irritated or ulcerated skin. Nonraveling gauze is easy to apply.